Toward the close of the 19th century, Hebrew was virtually dead as a spoken language, for two thousand years having been confined largely to prayer and, on occasion, written documents. For everyday communication, the diverse citizens of Jerusalem preferred any number of different languages, from Yiddish to Russian, Spanish through Arabic. 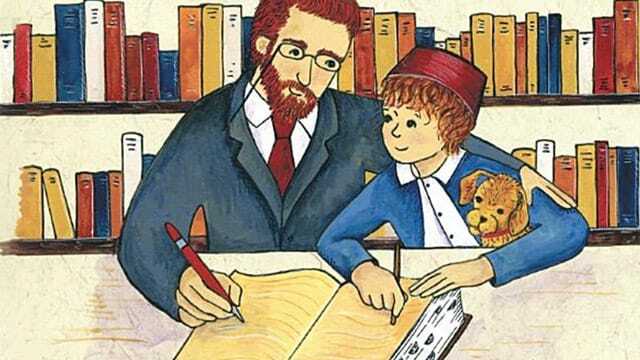 Richard Michelson's children's book, "The Language of Angels: A Story About the Reinvention of Hebrew," tells the tale of Ben-Zion, growing up in Jerusalem without any friends. "Some children spoke Spanish. They said 'hola' to their neighbors. Others spoke 'Ladino' (derived from medieval Spanish). They wished each other 'buenas tardes' in the afternoon." Little Ben-Zion could reply with only "Shalom." His father, Eliezer Ben-Yehuda, fervently believed that Jews from every country should return to the language of their ancestors. Something of a zealot, he had decreed that his son should speak only Hebrew. Gradually, father and son persuaded their community that all could have a hand in restoring the Hebrew language, and modernizing it, word by word. The term for "bicycle," for instance, was created by combining the Hebrew words for "wheel" and "a pair of." In 1948, Hebrew was designated the national language of Israel.